Dr. Jessup is a life-long Virginian, born in Radford Virginia to a family of three boys. His dad was a career Virginia State policeman and his mom, a school teacher. He spent much of his youth in Wythe and Chesterfield Counties, eventually settling in Swift Creek. Today, he sees patients throughout the state of Virginia. Dr. Ron Jessup graduated from Virginia Commonwealth University with a Bachelors of Science in chemistry. He then entered the School of Dentistry at Virginia Commonwealth University, where he earned his Doctorate of Dental Surgery. He began his dental career in the Richmond area, opening his first practice in Henrico. Today, he is excited to be part of the Midlothian Village area closer to Dr. Jessup’s Swift Creek home. Ron Jessup knew he wanted to help others through a career in dentistry. It was always his answer when he was asked, "What do you want to be when you grow up?" and nothing stood in his way of meeting that dream. 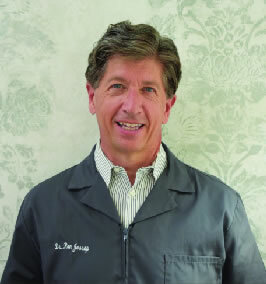 Today, the dental profession has allowed Dr. Jessup the ability to serve his patients through building trusting relationships and helping people from age 2 to 99 to better their dental health, image, and confidence. Dr. Jessup has been married for 38 years, has two children, and five grandchildren all living five minutes from his home. He is very involved in his church, and has done mission work in orphanages throughout Russia for many years. He enjoys reading, biking, traveling, boating, playing with his two dogs but most of all spending time with those grandkids.